Faena Hotel is the result of hard work of fashion designer Alan Faena and designer Philippe Starck. Located in quite a gloomy looking building with red brick walls (a former granary), inside the hotel is ultra-modern and stylish, and looks more like an exhibition of designer concepts. Dark interiors with lots of black marble and red velvet create the glorious atmosphere of the imperial heritage. The extravagant hotel is a great place to see the South American luxury. Modern and avant-garde, Vitrum Hotel is a boutique hotel that draws attention of travelers with its clear lines, colorful stained-glass windows, and modern comfort. The design was developed by local artists, who played with glass mosaics, asymmetrical shapes, exclusive wallpapers and furniture, thus making every room unique in terms of color, size, and design. The private gallery with works of modern artists only enhances the noble and artistic style of the wonderful hotel. If you don’t look at the classic façade of Room Mate Carlos and step in immediately, the ultra-modern inner design will look simply spectacular. Creative design of the lobby in light green shades reminds of the underwater life and seaweed. The eccentric combination of abstract shaped lamps creates quite an odd futuristic view. The designers used geometric shapes, contrast bright colors, glass doors in pop-art style and many other interesting and unusual items, making the Room Mate Carlos a great hotel for modern travelers. The avant-garde design of boutique hotel Mansion Vitraux is ahead of modern trends. Its 12 rooms are made in individual style and color. The rooms are so well-equipped that the number of buttons can scare out an unprepared guest. The boutique hotel has its own wine cellar, so Mansion Vitraux would be a good choice for travelers who want to try delicious Argentinian wine, which is usually served on the magnificent terrace with striking views of the city. 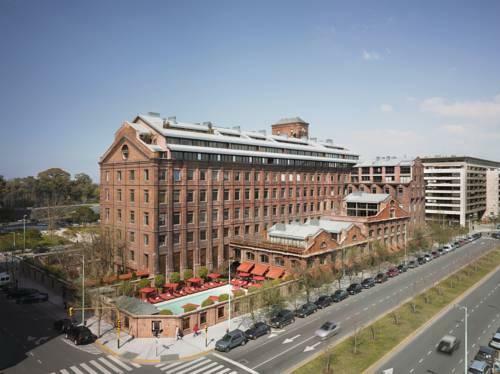 Boutique hotel Hotel Pulitzer Buenos Aires is a “relative” of the Barcelonan hotel, which was designed by Lázaro Rosa-Violán from Contemporain Studio. The modern look of the building and its understated design only underline respect for European traditions. All furniture and interior elements are the result of an outstanding designer work. This helped Pulitzer become one of the most famous hotels in the central part of Buenos Aires. 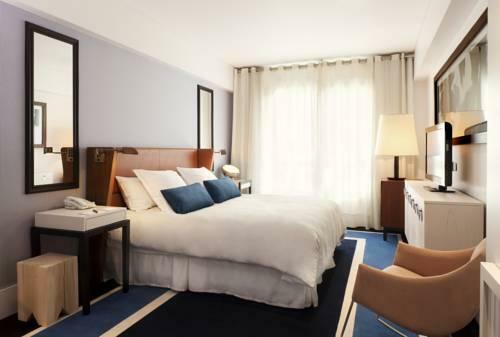 Boutique hotel OWN Palermo Hollywood will also please its guests with the stylish and comfortable design. Rooms of this hotel miraculously combine classic, urban and historic styles. Relaxing beige shades predominate in the design of the hotel, rooms are decorated with bright textiles and bold colored designer furniture. The lighting system is represented by numerous lamps and torches, while elegant wooden details remind of traditions of the past. There is a charming bar at the hotel, which is mostly made in black-and-white and decorated with creative colorful panels. This guide to most stylish hotels of Buenos Aires is protected by the copyright law. You can re-publish this content with mandatory attribution: direct and active hyperlink to www.orangesmile.com.